Hair Peace Charities helps women and girls, who live in the 412 and 724 area code region, with financial assistance to purchase a wig needed due to cancer. Hair Peace also offers cancer fighting information, encouragement and faith with support groups. Hair Prayer Care = Hair Peace Charities. To receive financial assistance for the purchase of a wig, individuals must speak with Bonny by calling 412-327-5177. Determination of assistance needed along with a list of supporting salons will be provided at that time. Salons cannot request assistance on behalf of clients. ​Purchasing a wig can be very confusing. Please click here to read some inportant information prior to going to the salon and making your purchase. Recipe For Hope 2019 ! Congrats Recipe For Hope Perfect Plate Winners! 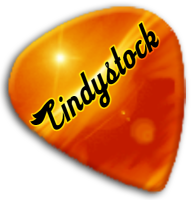 To view a listing of all our winners CLICK HERE . 2 passions - 2 events! 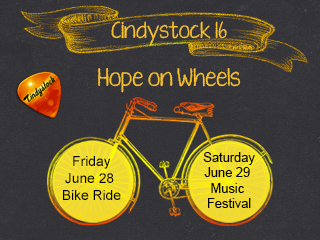 Take a passion for both bicycling and music and a passion for helping those with cancer and you have - Cindystock 16 - Hope on Wheels. Friday - June 28 - 4 PM - Helicon Brewery - bike ride, pizza and music by Mark Ferrari. Saturday June 29 - 4 PM - Yates House - awesome bands, delicious food, raffle prizes and silent auction. FRIDAY - Register to ride then get your friends to support you. $35 to participate and all those raising $100 or more will get a T-shirt and are eligible for prizes. If you only want to be a spectator to celebrate with the riders, join us for the pizza and music with tickets for $15. Do you have time or talents you would like to share with Hair Peace Charities. There are many ways to become involved and support the Hair Peace mission - what areas interest you? 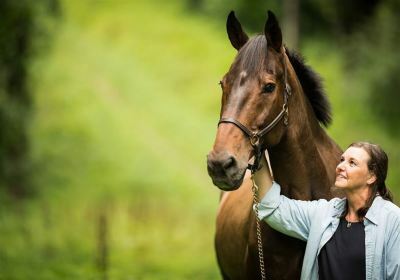 Hair Peace Charities was started by Bonny Diver, a local radio personality, after finding a lump in her breast after a horseback riding accident. Watch her video below to hear how it all began. When you shop on AmazonSmile, Amazon will donate up to .5% of the eligible AmazonSmile purchases to Hair Peace Charities. Click here for more details and to start shopping! Watch the Hair Peace story video or click here to watch Bonny's introduction to Hair Peace. Hair Peace has been recognized for excellent standards measured for non profit by independent rating group GuideStar . You can have confidence that Hair Peace will take your donations to the people who need them. A $150 donation changes lives! Hair Peace Charities has helped so many through the years. ​​ Click here to view short videos from some of our cancer survivors as they share their their journey and testimony of the help HPC has provided.